IMPORTANT EDIT 11-23-2015: It has come to my attention that these plates may not perform as certified regarding M193 high velocity rounds. Until such time as I have conducted a shoot test in direct comparison to the Maingun Patriot 2 plates, I cannot recommend these. All those that have read The Good, The Bad and The Ugly series here at D-Rmor Gear know that steel rifle plates are an excellent choice. Thin, extremely durable, and inexpensive (compared to ceramic and UHMWPE), steel plates really only have two drawbacks: their weight (usually around 7.5 lbs. and up), and their susceptibility to high velocity M193 rounds. This round, at or above 2950 fps, will reliably swiss-cheese garden variety AR500 steel (up until recently, the most common type of steel used in commercial rifle plates and target gongs). That means from any rifle with a barrel longer than 16″, M193 renders steel armor useless. One of several companies that have stepped up to address this lack is Armour Wear. Their new AR680 level III+ (note the plus) steel plates will not only stop level III threats (M80 ball), but M855 Greentip below 3200 fps, and the notorious M193 below 3300fps. This is faster than M193 travels from the muzzle of a 20″ rifle. I was struck by the quality and attention to detail. The coating was even, with no runs or sloppiness. The reverse of the plate includes a certification sticker, which contains the lot number, inspection number, and other information. Very impressive. The curvature (extremely difficult to do with this type of steel!) was even, smooth and symmetrical. 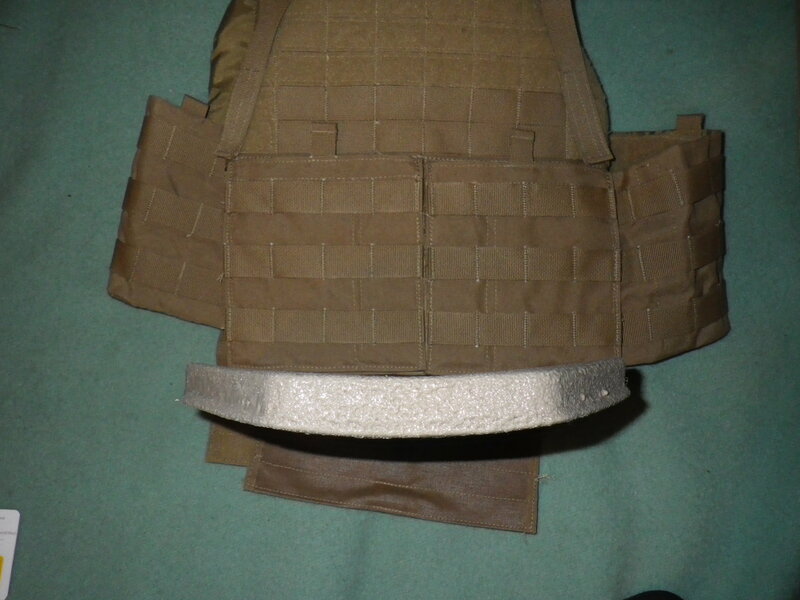 Finally, I was pleased to see that the lower corners were clipped, as this has the double effect of reducing weight and wear on plate carriers. 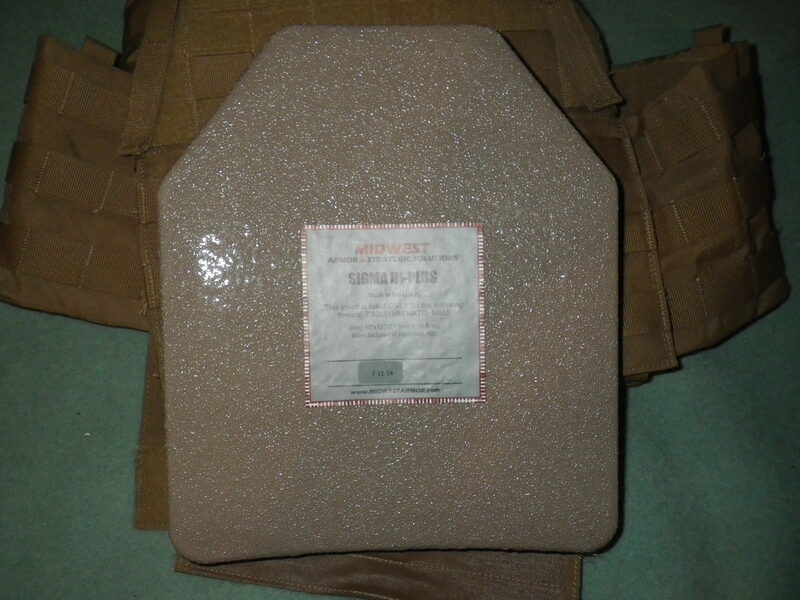 Armour Wear currently makes the AR680 in three sizes: 10″ X 12″ (reviewed), 8″ X 10″ and 6″ X 8″ (flat). 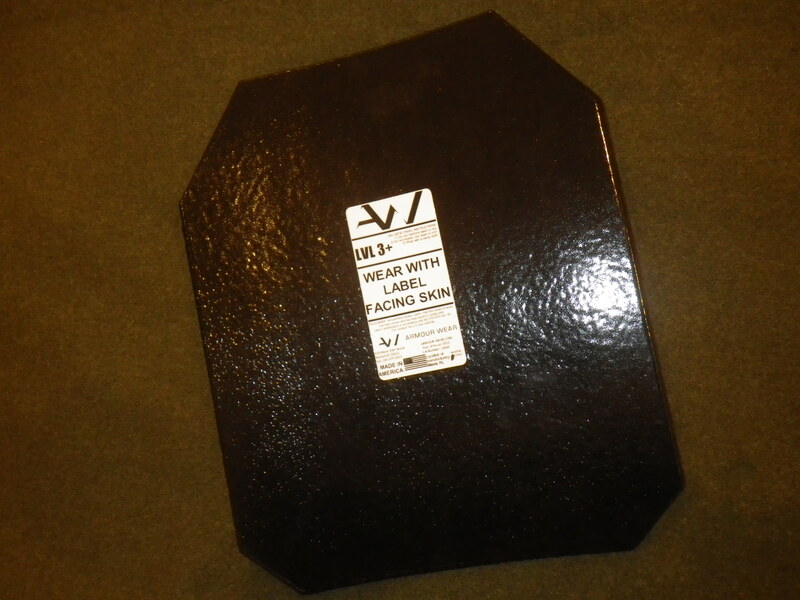 The 10X12 retail for $135, which although definitely more expensive than previous steel plates, is quite affordable when the extra capabilities are taken into consideration. With the recent roll-out by Midwest Armor of their FM4 and FM3 plates (currently the lightest level IV and III rated stand-alone plates respectively), it was hard to contemplate what they could do to top it. By releasing the FM-STX (“Force Multiplier, Special Threat”) they may have done that. The STX plate fills a niche for a light, THIN rifle plate that won’t break the bank. While the FM3 is still the lightest level III plate out there (~2.2 lb. ), it is relatively thick (a hair over 1″) and does not address the M855 threat. The STX does not carry an NIJ level III rating, as it is tested specifically against M193, M855, and 7.62X39 steel core (hence the “Special Threats” designation). The STX, at just over .55″ thick, and weighing in at 5 lb. in medium ESAPI profile (4.8 lb. in 10X12 shooters cut! ), comes in thinner than either the FM3 and the FM4, providing the thinnest profile of the 3 (with the FM4 being .90″ thick). 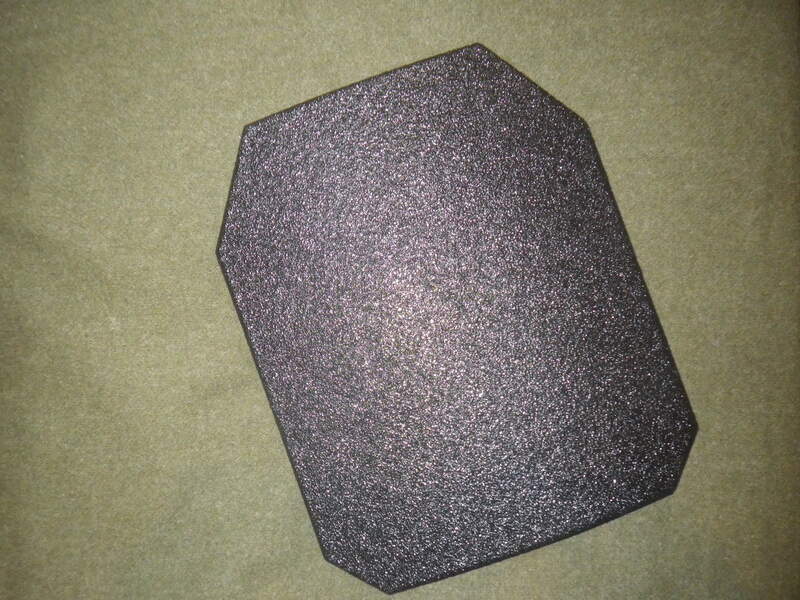 Consisting of a thin monolithic ceramic strike face sitting atop a backing package of advanced, proprietary UHMWPE rigid laminate, it pushes the limits of hard armor technology. It also compares very well to the SIGMA III+ (review forthcoming), as it is triple curve (compared to the SIGMA III+ single curve), .55″ thick compared to the SIGMA III+ 1.25″ and only about $50 more per plate @ $499. If M80 ball is not a concern, and you need the thinnest non-steel plate to stop common-threat rifle rounds, the STX is the correct choice. Add to this that Midwest is not satisfied with a single plate profile- the STX is available in all four ESAPI-profile sizes (small, medium, large, X-Large) as well as small and medium shooters cut, and small and medium full cut (rectangle). Options are nice to have. The price point does place it in the midrange, with the standard MASS III running $399 and the Guardian IV triple curve at $150. But each plate should be considered for the intended end-use. 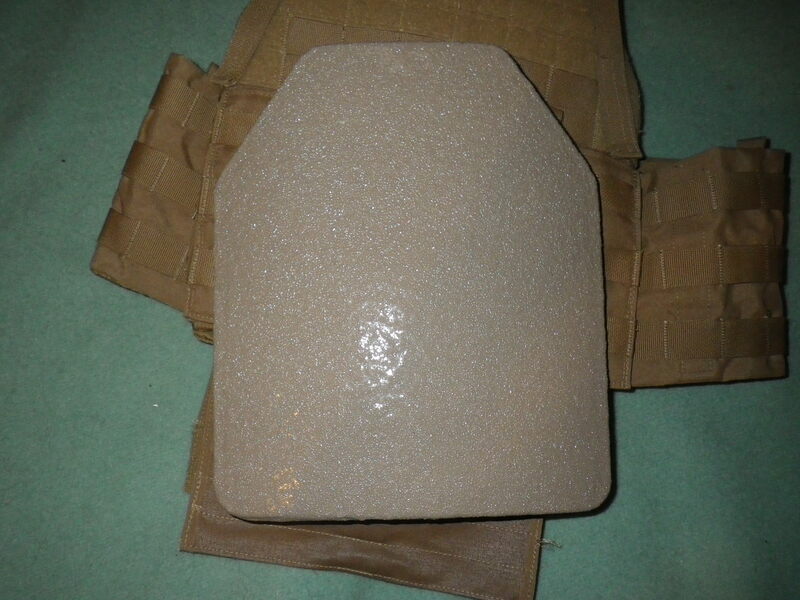 If you are looking for a thin, light ceramic plate that will stop M193, M855, 7.62X39 steel core and all lesser threats (which accounts for a large percentage of typical threats) for PSD work, the STX is the best choice. (Disclosure: As usual, I have not received any financial inducements, discounts, or remuneration from either Midwest Armor, nor Appalachian training. When I do my hands-on review, as usual I will have paid for the plate out of my own pocket). Or contact Mike at Appalachian training to special order.